My favorite season is BACK! No, it’s not the end of summer, with its last stolen visits to the beach, or fall, with its cooler days and chunky knit sweaters. 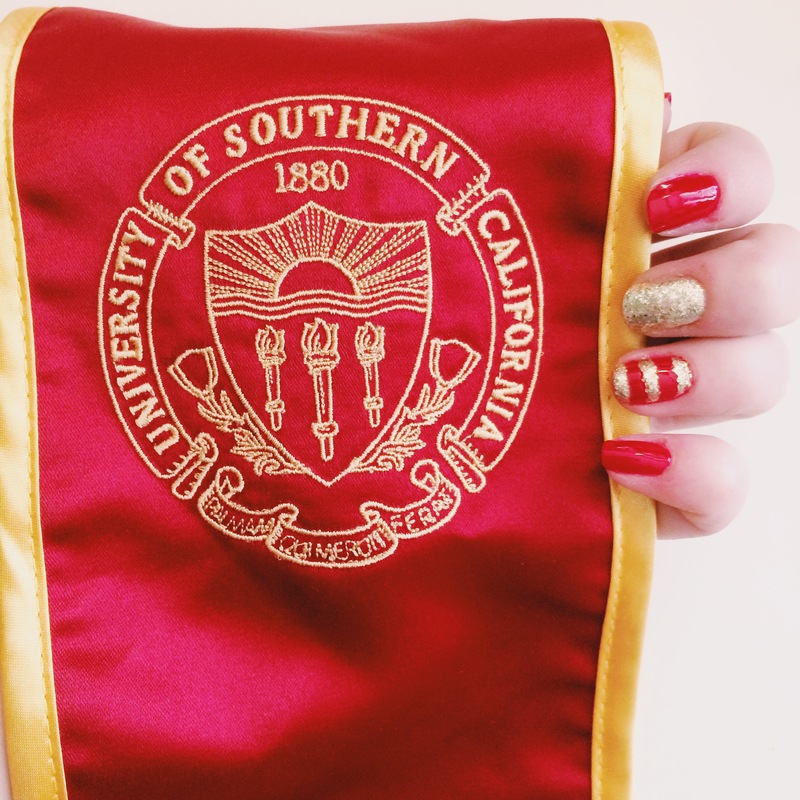 My mom and uncle graduated from the University of Southern California, so I grew up a HUGE USC Trojan fan. Games every Saturday, jerseys of the current quarterback, FIGHTING ON, all of it. When it came time to choose a college, USC was a no-brainer for me. I am so blessed to call this wonderful university my Alma Mater, and my love for it and its football team only grows every year. 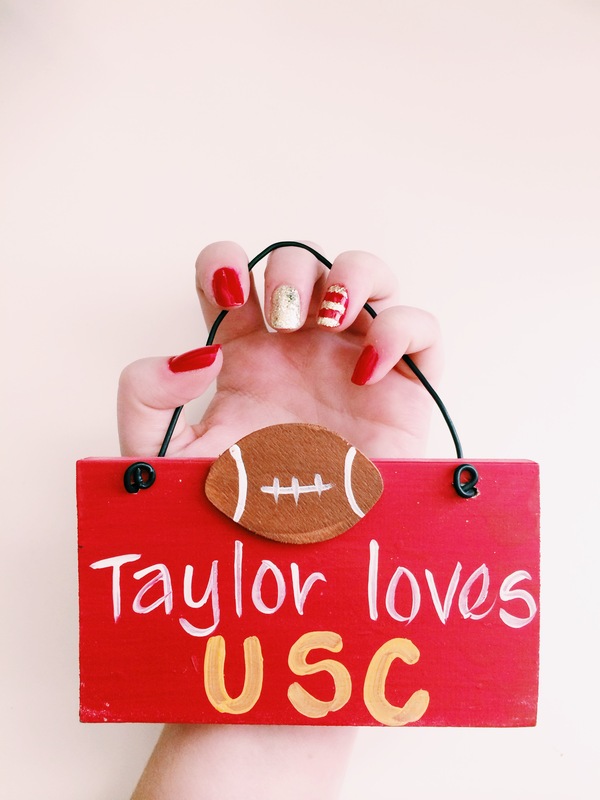 When you’re a USC Trojan, you know the importance of gameday. Tailgates, road trips, kicking the flagpole as you cross Exposition Blvd on your way to the Coliseum! It’s the tradition. Everything is tradition when it comes to USC, and that’s part of the reason I love it! 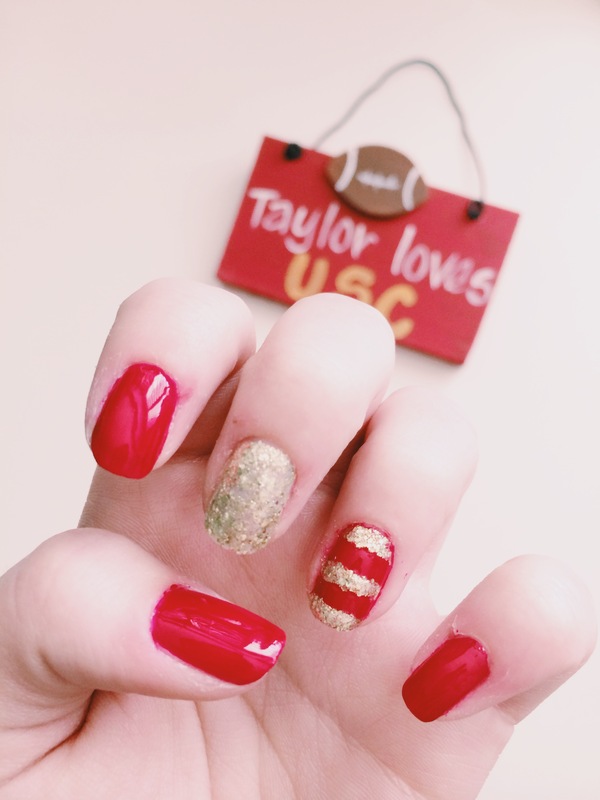 Well, one of my own little traditions has become creating new gameday nail art for the games each year. It started back in my sorority days (Go Gamma Phi! ), when I would sit around with my roomies and sisters the night before a game and paint all of our nails. 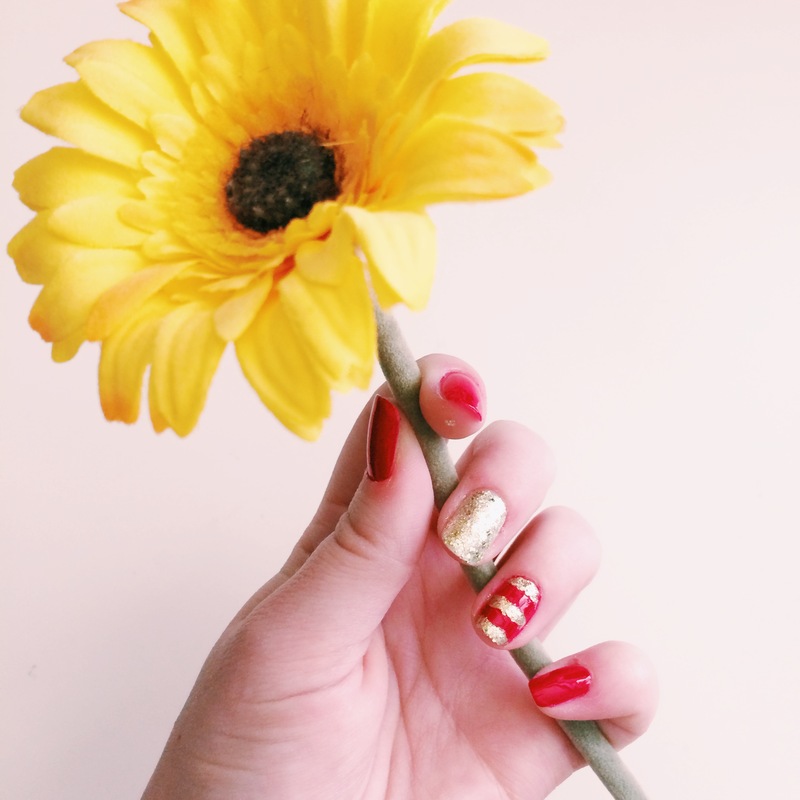 Here we are today, and my tradition of cardinal and gold nails continue. This week, I went with a simple, yet very effective display of the USC Trojans’ colors. 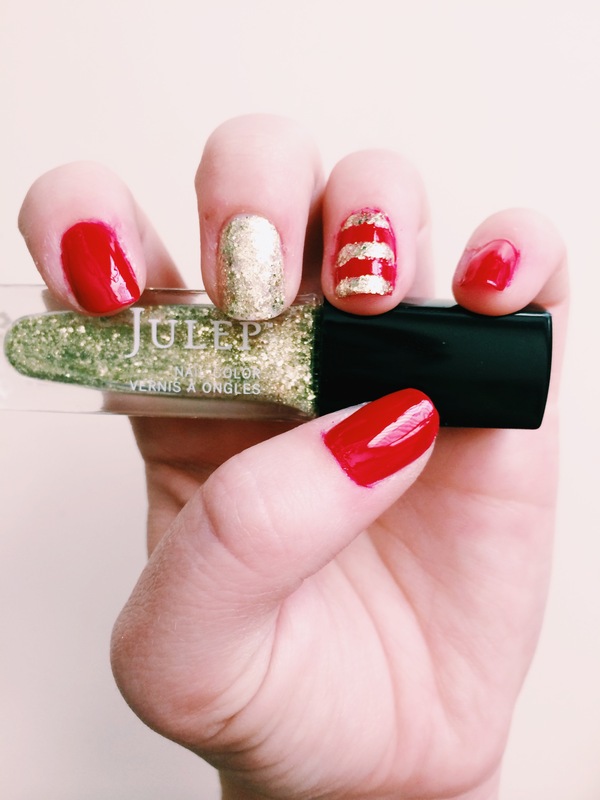 I’m IN LOVE with Julep’s Tazeen, which is a full-coverage gold glitter. It looks like you have a nail made of glitter, yet it doesn’t have the horrible texture some glitter polishes have once dry. 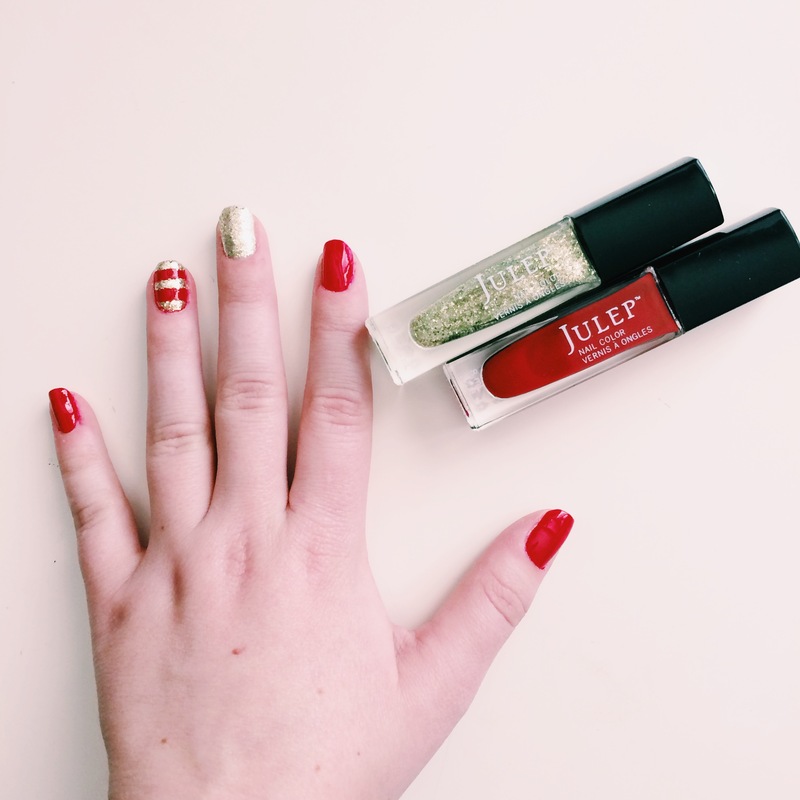 The red is Julep’s Myrtle, which is a nice scarlet. The stripes were a bit tricky. I don’t think I’ve ever used the tape technique with glitter nail polish, and I didn’t account for bits of glitter pulling off with the tape, making the lines wavy! I had to touch them up a bit after, but overall, the tape did its job! Do you have a favorite football team? I’d love to hear about your gameday ideas! Happy Reading! Please move to phoenix so you can be my personal nail polish artist and paint my nails cardinal and gold!! 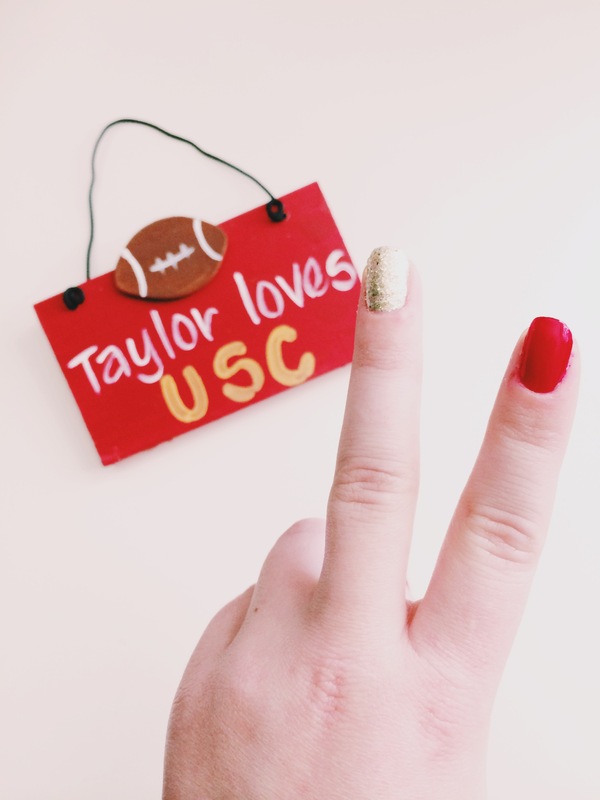 Fight on Tay! !